A single ring can take your style from boring to sensational in a flash. The Christian Dove Diamond Holy Spirit Ring does that and more. This masterfully designed ring features 14K white gold for contemporary flair, and the band is polished for a clean shine. 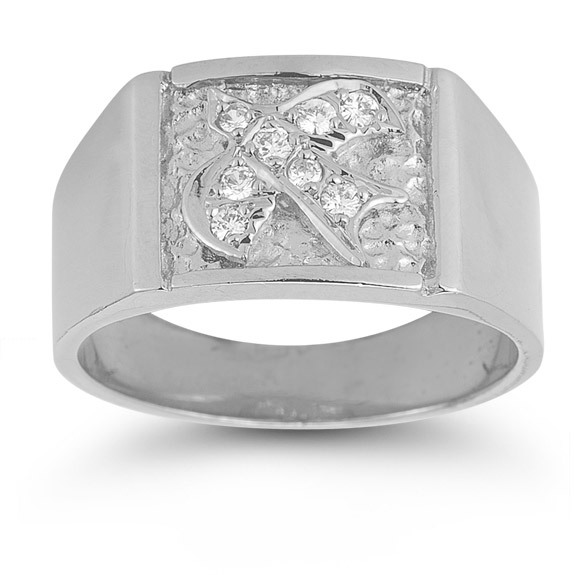 On the center of the ring is a diamond-studded Holy Spirit dove that pays tribute to the Christian faith. A total of eight brilliant diamonds adorns the dove, which is surrounded by a unique texture. We guarantee our Christian Dove Diamond Holy Spirit Ring in 14K White Gold to be high quality, authentic jewelry, as described above.